There's a handy 90° spout on this squeeze and wash bottle and it easily dispenses solvents, water, oils, cleaners, flux, glues, silicones, other liquids. 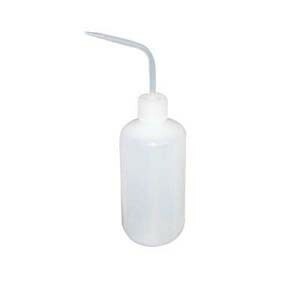 Transparent polyethylene bottle is easy to re-fill. Stand-up design with soft round edges (Boston-style).